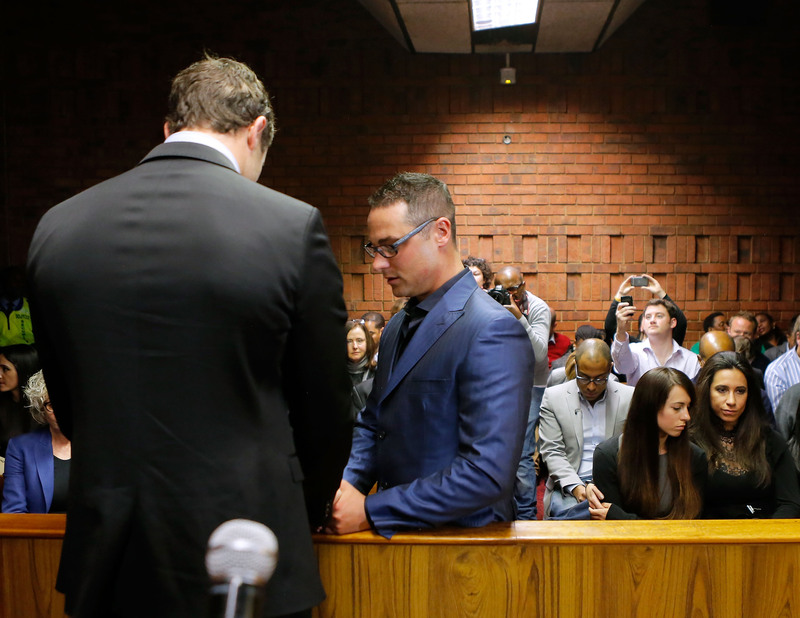 Highlighting a modern-day need to separate entertainment and journalism, the judge in Oscar Pistorius' murder trial banned the live broadcasting and tweeting of the victim's autopsy on Monday morning. Although in South Africa the media is normally allowed to live-tweet the court's proceedings, the specifics of Reeva Steenkamp's post-mortem would ultimately go "against the morals of society," and so the twittersphere will just have to go without the gory details, it seems. Prof. Gert Saayman, a pathologist who's head of the forensic medicine department, requested the broadcasting ban before starting his testimony Monday. "Graphic details of the injuries have the potential to compromise the dignity of the deceased," Saayman said. The descriptions were indeed reportedly so graphic that they caused Pistorius to retch and block his ears, although of course what those descriptions entailed is now under wraps. "It's not a question of press freedom," arguedthe prosecutor, Gerrie Nel. "It goes against the good morals of society for us to make information of this nature available." Judge Masipa's ruling has sparked fierce debate on social media, with many journalists contending that it's impossible to keep the public up-to-date on the trial's proceedings if both live-broadcasting and live-tweeting are banned. Some law experts have even indicated that the ruling might not be enforceable at all. "I haven't heard the whole order, but from what I have heard it sounds confusing," legal expert Pierre De Vos said. "It sounds unenforceable. I wasn't there to hear her [the judge's] exact words, but in other court cases, people and journalists use Twitter so I don't know why they doing this in this case, what makes this case so special." The Paralympian faces a minimum of 25 years to a possible life sentence in prison if convicted of intentionally killing his then-girlfriend on February 14, 2013.